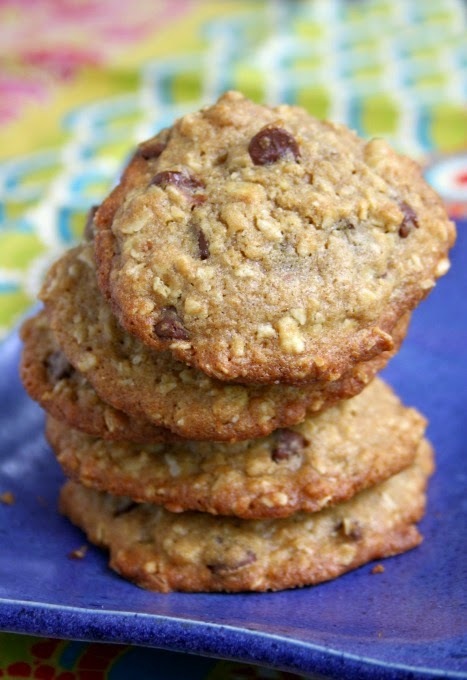 There’s nothing like an old fashioned oatmeal chocolate chip cookie to make you feel satisfied. They’re filling in a way that other cookies aren’t and leave you feeling like you’ve had a bit of a healthy treat. We were a family that often vacationed in Maine. We’d cross the border for March break, spend a week on the Maine coast in late August then often head back down in November. My twin brother and his wife live in Maine so we have more reason than ever to visit often and one family member or another usually celebrates American Thanksgiving with them. I remember a trip in high school when just my twin brother, mom, dad and I headed to Maine over American Thanksgiving. We kicked off the weekend with a holiday meal in the dining room of the hotel. My brother Timothy and I ordered the buffet but mom and dad ordered the full-on Thanksgiving dinner. Their plates came out so laden with roast turkey and mashed potatoes that there was no room for the vegetables. The waitress arrived again and again with separate plates and bowls for beans and squash, creamed onions and stuffing and cranberries. By the time we were ready to eat there was enough food on the table to feed our entire family (including the five siblings who were back at home). This recipe came from one visit to Maine or another. Mom thinks the recipe may have come from a restaurant in Camden, called Yorkies. 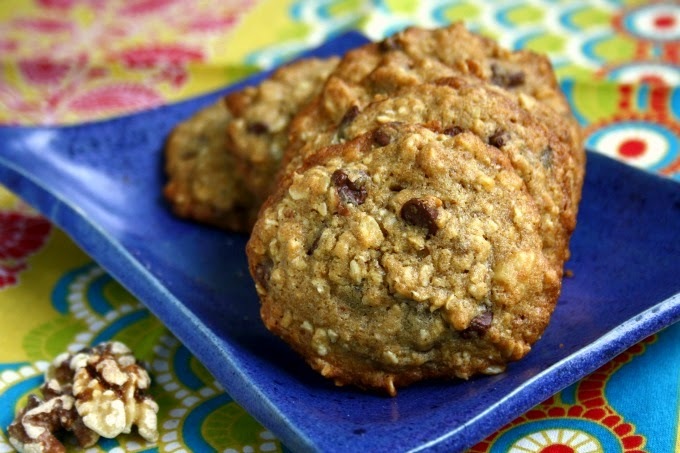 Oatmeal cookies make great lunchbox treats and their softer texture makes them more satisfying than granola bars. These give a good energy boost when you're at the ski hill for the day or out for a hike. **Can add up to 1/4 cup ground flax. In a medium bowl combine flour, baking soda, cinnamon and salt. In a large bowl whisk the egg with the sugar then add the melted butter. Whisk in the molasses and milk. Stir in the flour mixture then the rolled oats, raisins and walnuts. Mix until well combined and drop by heaping teaspoonful on a parchment lined baking sheet. Bake for 10-12 minutes until set. 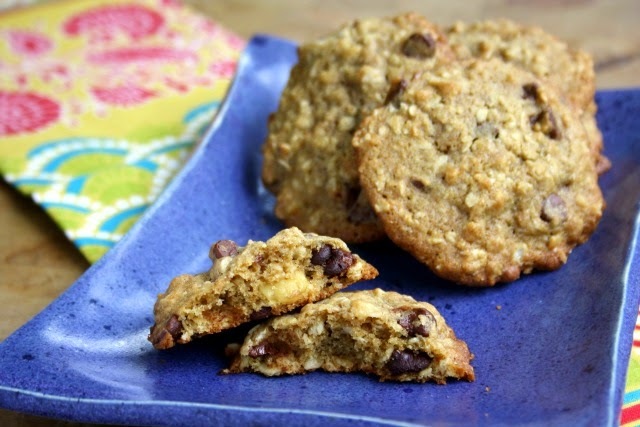 Green tip: Look for local flour and rolled oats and choose stone ground flour. It adds great flavour and extra nutrition. Blog post update: I discovered from a reader that this recipe is in the Fanny Farmer cookbook. THe Fanny Farmer version calls for half butter, half lard.